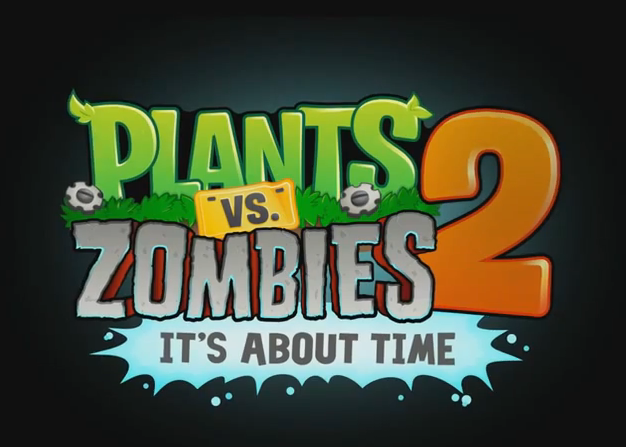 'Plants VS Zombies 2 - It's About Time (PVZ2)' Will Be Launched in July 2013!!! ‘Plants VS Zombies 2 – It’s About Time (PVZ2)’ Will Be Launched in July 2013!!! Plants VS Zombies sequel is coming up after a 4-year gap. This is great news for fans of PVZ including me. johnkhor.com has to admit that he started playing this game after many people have played this game. It was recommended by my friend and every since the first round that I had played, I had been in sleepless mode for a week or two. I manage to complete the game within a week if I remember it correctly. It was a really addictive game and killing zombies with plants never got so exciting. And the Endless game in the special mode was the most satisfying trophy to earn. I had to Google the solution and finally managed to earn the trophy. Definitely a great game. Plants VS Zombies 2 is coming out this July 2013 as what the teaser trailer posted in the Plants VS Zombies Youtube page. Inside the teaser trailer video, there’s nothing much revealed about the PVZ 2 but just PopCap laughing at itself and the 4-year gap for the PVZ and PVZ2 and it is written Plants VS Zombies 2: It’s About Time. It is one of the most successful game ever created by PopCap. It is the 12th most downloaded paid app ever in iOS Appstore. It started in Windows and Mac OS X platform before being ported to many other platforms such as iOS, Android and so on. Stay tuned for the actual release date of Plants VS Zombies 2. Jump over the rest of the post for the video. iPad 2 coming to Malaysia this July, 2011??? P1 (Packet One Networks) Finally Launched Their Own MiFi, MF230! Samsung Galaxy Tab 8.9-inch Launched in Singapore! When is the launch in Malaysia? Next story Why Is All My Yes 4G Data, Minutes & SMS Quota Gone Except My Yes Credit? Previous story [RUMOR] Galaxy Note III To Have 5.99″ Display, 3GB RAM and Exynos 5 Octa with 8-core GPU!! !